On May twenty-seventh, which I shall always think of as Isadora Duncan’s birthday, no matter what has been proven since I first loved her, the goddess of the dance returned to me. 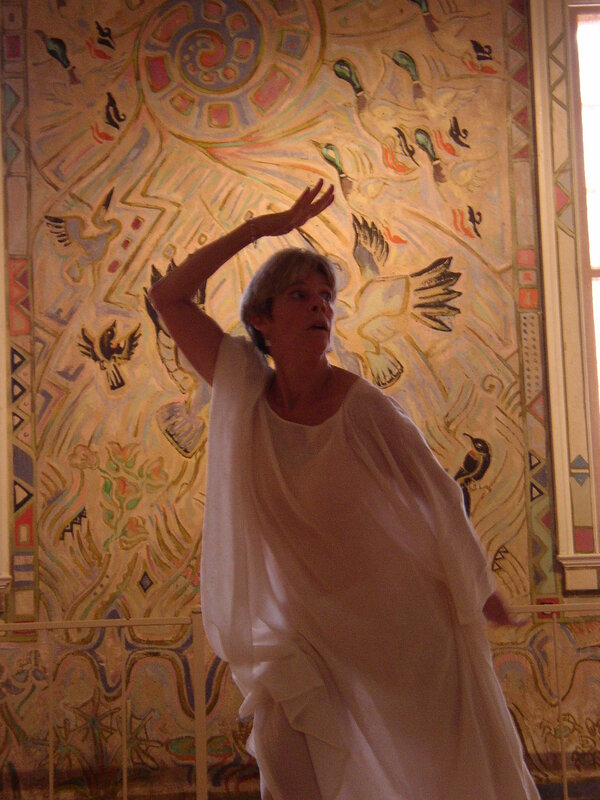 She was the second goddess of the week to dance determinedly into the realm of Leif. First came Loie – in a book sent by my wise and loving friend, Kendall. Here was a birthday gift: TRACES OF LIGHT – Absence and Presence in the Work of Loie Fuller. With Loie in my hands I was instantly present – the dance as real and full-blooded for the sixty-six-year-old as for the sixteen-year-old. I felt myself expand and billow, rising to unfurl as gloriously as the dancer’s silk. And just as the silk was settling and the light was dimming. 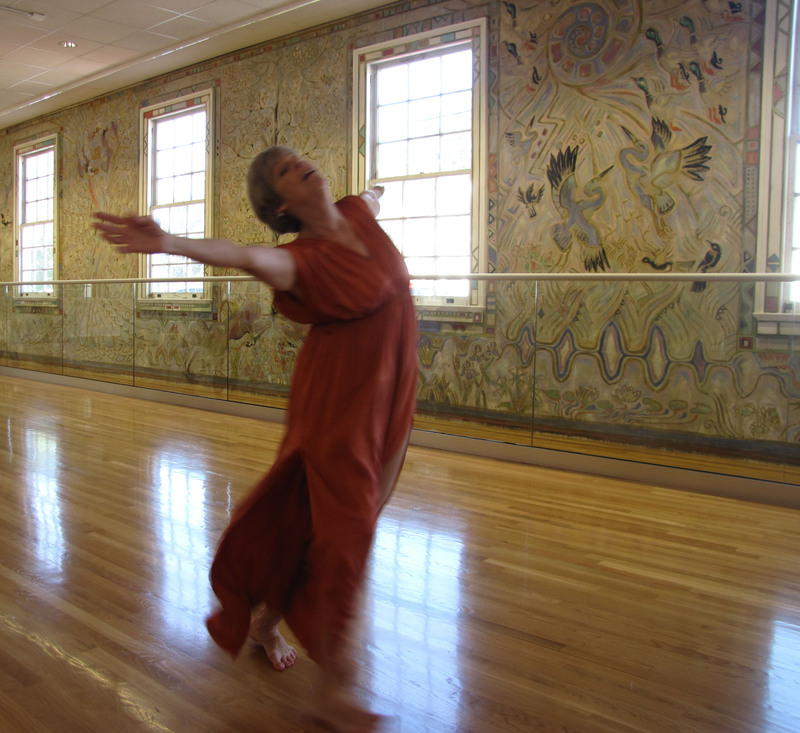 Isadora glided forward: LIFE INTO ART – Isadora Duncan and Her World was left for me at the Shearwater Pottery showroom by a kind and thoughtful acquaintance, and once more I was pulled into consciousness of who I am. Entranced, I turned the pages to discover images familiar over years of living symbioticly with the spirit of this remarkable woman, but also photographs never seen before revived my love. It had been so long since I had been sure that she was with me as beloved guide. I might have wept at the sheer relief of her return, yet joy was uppermost, and I took her home to place her with the other one. Whatever rivalry may have existed when they lived and danced, I sensed compatibility in this instance. Two graces were united in one purpose. This was to pull the third grace back to the fold. As the week has passed, I find myself more than willing to be enticed. Convinced by the persuasive power of these great revolutionaries of the dance, that neither death nor the aging body can subdue the spirit of truth, I find myself in a state of resurrection. The dance flows forth: The ink from my brush alights upon the page as on a stage in gestures physical and true; the wire moves through my hands as surely, finding form and paying tribute to my dear companions; then in the calm of evening, a Chopin nocturne lures the third grace into movement. I am dancing. We are dancing. All is well.